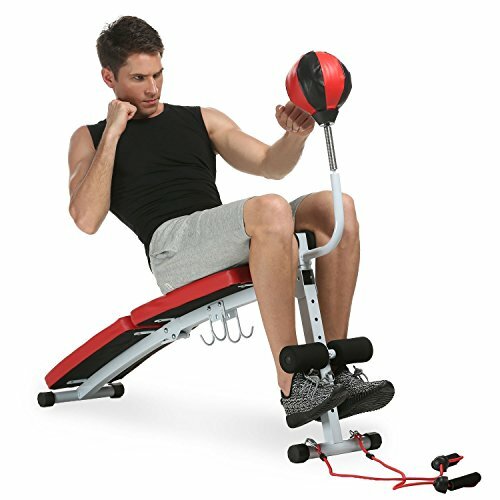 Fashine Adjustable Folding Bench Weight Fitness Gym Home Workout Bench with Speed Ball & Dumbbell( US Stock) by Fashine at Workout Schedule. Hurry! Limited time offer. Offer valid only while supplies last. Ideal for your power training exercising at your home or in the gym. Height adjustable and folded design brings more convenience to your exercising. Warm Note: We try our best to offer the best service to customers. If there are any doubts or problems, please feel free to contact us, we will reply and solve it for you ASAP.